For folks in Surprise looking for affordable access to a spacious full-size sedan, the used Chevrolet Impala is on sale now at Cactus Jack’s in Phoenix. Edmunds praises recent Impalas for their “roomy interior” and their “strong and fuel-efficient engines.” On top of that, more recent models come with features like a 7-inch Chevy MyLink touchscreen and a portable Wi-Fi hotspot. 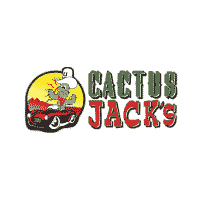 Find a number of Impala trims and colors for sale in Phoenix right now at your local Cactus Jack’s! Get a Full-Size Sedan for Less Near %%target_city_1% Now! You don’t have to wait around to pay for your next full-size sedan near Glendale. That’s because Cactus Jack’s makes it easy! At our dealership, folks with bad credit or no credit can take out a loan and get the Impala and other models for just $500 down. But before you decide on the model you’re interested in, make sure you take a look at our current lineup of weekly specials!